Background: Dietary risks were the leading risk factors for death worldwide in 2010. However, current national estimates on fruit and vegetable consumption in the Kingdom of Saudi Arabia (KSA) are nonexistent. We conducted a large household survey to inform the Saudi Ministry of Health (MOH) on a major modifiable risk factor: daily consumption of fruits and vegetables. Methods: The Saudi Health Interview Survey is a national multistage survey of individuals aged 15 years or older. It includes questions on sociodemographic characteristics, tobacco consumption, diet, physical activity, health care utilization, different health-related behaviors, and self-reported chronic conditions. We used a backward elimination multivariate logistic regression model to measure association between the Centers for Disease Control and Prevention (CDC)-recommended daily consumption of fruits and vegetables and different factors. Results: Between April and June 2013, a total of 10,735 participants completed the survey. 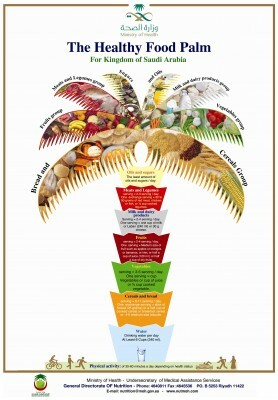 Overall, 2.6% of Saudis aged 15 years or older met the CDC guidelines for daily consumption of fruits and vegetables. The likelihood of meeting the CDC guidelines increased with age; among women; among persons who graduated from elementary or high school or had a higher education; among residents of Makkah, Al Sharqia, Ha’il, or Jizan; among those who consumed at least two servings of meat or chicken per day; among those who visited a health care facility for a routine medical exam within the last 3 years; and among those who have been diagnosed with hypertension. Conclusion: We have showed that KSA is in dire need of improving the diet of its population. Our findings call for urgent research to understand the reasons for low fruit and vegetable consumption, focusing on price or preference in order to develop and implement culturally and country-relevant solutions to increase the consumption of fruits and vegetables.